Short Business Description: At Tower Moving, We offer a wide range of Moving and Storage services. 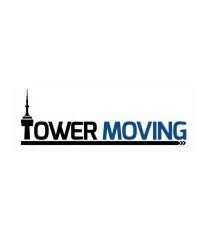 Tower has been called the city’s ‘Top Condo Movers,’ but offers many additional services including any type of residential or commercial move, packing services, storage, speciality item moves and media installation packages, to name a few. The Tower team is trained at an industry-leading level, with a focus on customer service, proper handling and wrapping of belongings, efficient door-to-door methods, and established relationships with many of the city’s top realtors, brokers, home stagers, and building personnel, that ultimately translate to a seamless moving experience. This dedication to our work, coupled with our commitment to no hidden fees, is reiterated through our customer testimonials and our accolades which include: Top 25 Movers in Ontario by Point2 Homes and consecutive Best of Houzz Customer Service Awards in 2016 and 2017. Follow @TowerMoving on Twitter for real time news & updates!